Hey chatters, welcome to another Mizzou Chat. I'll be here for the next couple hours. Juggling a few things here so be patient. Dave, although you cover Mizzou for the PD you don’t live in STL so maybe you don’t know the intricacies of Mizzou’s recruiting in the STL. Back in the day half the team was from STL, but that was decades ago. Now Mizzou is lucky to get a couple out of the area every year or so. I know Chicago is a cesspool; with a maze of people with their hands out "representing" the athletes. Does that same system exist here? I wouldn't describe the situation in STL as a cesspool. More than any other reason, recruiting is a national game today. Mizzou coaches look all over the US for players. They have to. Coaches from all over the country come to Missouri to find players. College football is less localized when it comes to recruiting in 2018. Mizzou went out to North Carolina to find a running back and got a steal in Larry Rountree. Kids in St. Louis have more options now more than ever. Some of them aren't as interested in going to Mizzou when in years past it might have been their best offer. I talked to Mizzou DL coach Brick Haley about MU's recruiting efforts in STL recently. He's encouraged by the feedback, but he's also a realist. Here's what he said: "The kids (in St. Louis) sometimes have seen so much Mizzou that sometimes they want to get away. That’s one thing that maybe hurts us more than helps us. The way things are going now we’re building better relationships with that area. It's not that we had bad relationships, but it’s just sometimes the kids have to meet us halfway also. A lot of other people do. We’ve all got to work together." So what's the story behind Evan Pratte's departure? And any word on who will take his place? Pratte has been with the baseball program for 20 years but he was let go as the director of operations last week. Bieser fired him and strength coach Scott Bird. Both were mainstays in the program for years, prior to Beiser's arrival. Both were surprised by the decision. It's not that uncommon to cut ties with the past, especially after two seasons that don't end the way anyone wanted. Upgrading the roster should be the No. 1 priority, but that's always a challenge at Mizzou. I am curious to know who to believe on Dooley. You mentioned in your article earlier this week that he played a major role in the Ohio kid committing and you have been fairly even keeled on your reporting of Dooley since he got here. This week there was also and article I saw where Beasley of the Cowboys said the guy can't coach routes (I took with a grain of salt some of that) and we all know that Dooley was the unconventional choice for OC. I want to believe in this guy and I want to believe that with the returning offense we have that we will be ok there. TJ Moe commented back to me on Facebook that Dooley is the guy and he is ok with him. I am just really having a hard time trying to figure out where we are really with this hire. On a scale from one to five, weak hire on the 1 side of the scale and Strong on the 5 side of the scale. Help me out Dave. Here's the great thing about football and sports in general: Our opinions of Dooley don't really mean squat right now. He's got 12 chances to prove everyone right or wrong this season. I'm less interested in how other people think how he'll do and more interested in what he has planned, what the players think of him and how he's approaching the opportunity. He's taken a smart stance in not trying to re-invent the wheel with an offense that's shown it can put up yards and points - but at the same time tweaking some things that can help the team win more games. The guy knows football. There's no doubt about it. He doesn't have a great track record as a head coach, but that's not what he's been hired to do. He has the luxury of working with the best QB he's ever had and maybe one the most experienced offensive lines. This is as pivotal as any season I can recall for MU football. This covers everything: stabilizing and being able to advance the program within the SEC, future of Odom and staff, recruiting, and building enthusiasm with the state and the positive effect that would have on attendance. Interesting to think how the outcome of a couple games - often determined by a single decision or play - can have such wide impact. Do you concur that the outcome of this season will greatly advance or setback MU football? Who are your favorite MU football and basketball players that you have covered? I measure the players I cover in terms of how they help me do my job and tell the stories I want to tell. Access is a big factor. Are they willing to show up and do interviews during the week and after games? Are they interesting? Do they give thoughtful answers and not just cliches? Do they help explain the game? Do they share things that are interesting about themselves and their family/hometown/childhood, etc? For football, Sean Weatherspoon was probably my favorite. Just a very warm person who never mailed in an interview. Very engaging, got to know the reporters because he knew having a relationship on a professional level was healthy for both sides. Also, Lorenzo Williams, Brock Olivo, Chase Daniel, T.J. Moe, Martin Rucker, Max Copeland and Mike Scherer. I've covered football much longer than hoops, so my basketball list is much shorter. Kasisus Robertson was about as good as it gets. Always available, even when he turns the ball over late in a loss. He's a pro. Kevin Puryear is in the same category. Why do you live tweet every game when you know everybody following you is watching it? 1. I don't live tweet every game. 2. Not everyone is watching. 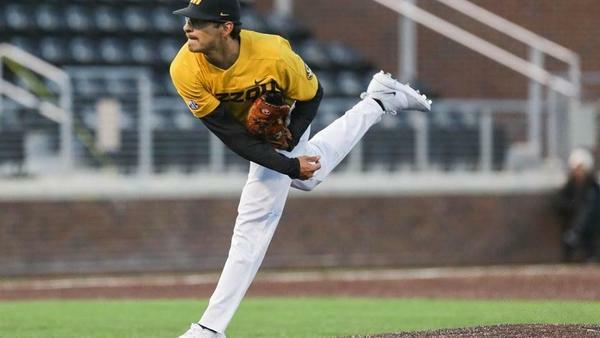 As you reported yesterday, long-time Mizzou baseball Director of Operations Evan Pratte and strength coach Scott Bird were both recently let go. I have a lot of respect for both of them but I certainly feel like Coach Bieser has the right to shape his staff how he sees fit. I certainly wouldn't want you to air any dirty laundry or anything, but do you have any additional info on these moves? Just trying to finally get more of his people in place after a couple of bridge years? Scott wasn't given much of a reason other than there was some perceived differences in philosophy with him and other coaches. I don't know about Evan. These are tough decisions. Every new head coach has had to make them. Gary Pinkel had to fire some really good football coaches when he took over at Mizzou. Barry Odom has told me one of the toughest days of his career was when he had to let go of some of Pinkel's coaches, some guys he had known since college. I'm sure Steve didn't enjoy making these moves, but when you're the head coach and responsible for the program you have to make some moves that might be unpopular with some people. The reported "come to Jesus" meeting that Odom had in STL recently sounded unnerving. Demetrius Johnson's account of it on 590 yesterday, calling for Andy Hill and Cornell Ford to be fired seemed extreme. What does your time with Coach Pinkel tell you about why it seems like the relationships here went south? Gary has never really elaborated, though in his mind it didn't go south on his watch, at least not MU's standing in St. Louis. MU signed Terry Beckner, Nate Howard, Ronnell Perkins, Cam Hilton and Nate Strong in Pinkel's last full class. That's a great haul from St. Louis for one class. For Mizzou football to have a successful season, what Things need to happen for the Tigers? I think you need to see progress from last year. That means win more games. They won seven last year. I think anything short of eight is disappointing. Not to the point where the staff gets fired with a 7-5 record, but it's not progress, especially when two seniors pass on the NFL draft and return as the best players on both sides of the ball. Will DaRon Davis still play for MU in the near future? He's headed to junior college, and as long as he eventually gets eligible to enroll I would think Missouri will give him that chance. We'll see. Dave, Ladue grad..your dad was one of the best teachers I ever had...Hope he is doing well. Any idea why Florida seems to be getting so much credit going into 2018? I saw Paul Finebaum had them as 6 in the power rankings in SEC, in front of Mizzou who is 9. Mizzou throttled them by 40 didn't they? And they have virtually everyone back, while Florida went 4-7 and has no QB. Doesn't it seem like teams like Florida (and usually Tennessee) seem to get overhyped year in year out? It's the Dan Mullen effect. He's a very good coach. Built a very good program at Mississippi State, so there's the natural assumption that he'll get more out of the talent in Gainesville. I'm a little skeptical. The Gators will have a functional offense, something they haven't had in years. They usually have great if not elite talent on D. I have to read more on their returning personnel before I decide my SEC East picks. Georgia is the runaway favorite. I feel secure picking South Carolina second. Then it's between Mizzou and Florida. Mizzou softball question: Now that a couple of transfers have been announced, do you get the sense that Coach Anderson has been successful in convincing several on the team that were wavering to stay? I expect another 2-3 transfers in all likelihood and I know that we will be adding some transfers ourselves, but I was really hoping to keep this from being a mass exodus. From what I was told, several of the freshmen inquired about transferring but that was before Anderson was hired. As of now, no more announcements. Amanda Sanchez was expected to leave regardless of the hire, likely to a Pac-12 school. Now that the MLB draft is over, any thoughts or insight on if any of the Tigers' drafted underclassmen or recruits will go pro? Are those potential major blows to next year's team or things college baseball coaches always try to plan around? Those who are going pro have already decided: Pitchers Mike Plassmeyer, Bryce Montes de Oca and Gio Lopez and pitcher/infielder Brian Sharp. Juco pitcher Trey Dillard was the only drafted recruit who MU thought might sign. He was taken by the Dodgers in the 16th round. I haven't seen anything about him signing yet. stltoday.comMichael Plassmeyer led the team with over 100 strikeouts as a junior in 2018. I will probably watch more NBA summer league starting in the next couple weeks than I did the NBA finals. I just love watching the new picks play so close to after they were drafted. Also, I’m a Celtic fan and they have had there share of high picks to watch the last few years. Anyway, MPJR. insists he’s 100%, so he should be playing? I’m the person who thought a healthy Porter could average 30ppg last year, and was a better prospect than Jayson Tatum. Michael seems so fragile now..I’m afraid he’s going to be a derailed by chronic health issues (similar to his older sisters). Are you more optimistic about his basketball future? I'm skeptical that he can last long and be a star in the NBA. When he was at the top of his game on the AAU circuit and playing in the all-star games against the other elite players age he was usually the best player on the floor. Can he be the same against grown men in an 82-game schedule? I'm just not sure. So much depends on what team drafts him. For all the reasons I wrote about in today's paper, Dallas would be a healthy environment for him. Sacramento wouldn't be the worst. Less attention, less pressure. There is some young talent out there. I'm interested to see how it all works out for him. Regarding Draft Day and MPJ: I agree that we should wish this young man well. He grew up in Columbia. He has a gazillion family ties to Mizzou. He's a fine lad and a (potentially) prodigious talent. But he's played 53 minutes for the Tigers. His legacy? LEGACY? And when I read Hochman (a writer whose work I admire) say "Mizzou hoops will never be the same," my jaw drops. Where are you on the rational, "real" story of MPJ's short Camelot career here? He turned fans' eyes back to Mizzou for a season and perhaps beyond. Though I think Martin would have made the program relevant again regardless. Michael helped bring along his brother and Tilmon - though Martin had as much sway in that decision. Yes, he only played 53 minutes, but I think the drama and mystery tour that he put fans and his teammates on from November through March made that team more resilient when he wasn't on the floor. As sportswriters we're addicted to the legacy talk, even though it can never be defined in the present. I think Porter will be remembered fondly by fans, not for what he did on the court but for coming home and wanting to play one season at Mizzou. It didn't go the way anyone planned, but I don't think fans should feel scorn for him. Do you think losing Cierra Porter lowers the potential/ceiling for next year's women's basketball team? Thoughts on who can step up and help fill those minutes or maybe they'll adjust their systems to offset (maybe more positionless stuff)? I don't think it's a huge loss. Her minutes and production dropped off her junior year. They're going to need someone to replace her rebounding and some scoring, but it's doable. Jordan Frericks will be a bigger loss. Mizzou wants to play faster this year and might be more perimeter-oriented, so Porter's loss might be minimized by some things they do stylistically. Demetrius Johnson was positive in assessing recruitment in STL. Apparently HC Odom was established a good rapport. Johnson also said assistants Andy Hill and Cornell Ford should be fired. I'm aware of what he said. I don't expect Odom to take orders from D.J. The MU baseball team doesn’t seem to reach out to Columbia’s youth baseball. Clinics? Camps? There are a couple thousand youths playing baseball in mid-mo, and I just don’t see the outreach to them? Maybe if they did get more involved Columbia wouldn’t have gone nearly 20 years between getting a player drafted out of one of our local high schools. Hickman had OF Jake Whitesides drafted in the 4th round, and a pitcher picked in the 8th round (forget his name) in the late 1990’s, before Hickman pitcher and MU recruit Trae Robertson was plucked in the 38th round. Has there been a lot of Columbia HS players that went to different college programs who have been drafted? Just finished your book. I know Pinkel's divorce was mentioned briefly. Towards the end, he referenced how good of a job his wife did raising the kids while he was working. Did you consider talking to his ex-wife for the book? Was that even an option? That wasn't an option for legal reasons. This was his story to tell, not hers. Thank you for reading the book. It was a great experience to write.